The Conference will be held at the Hong Kong Convention and Exhibition Centre (HKCEC) in Wan Chai, Hong Kong. 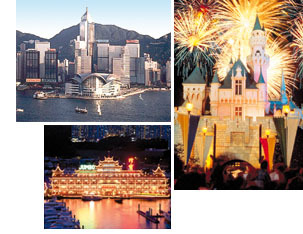 HKCEC is a state-of-the-art conference venue with magnificent views across Victoria harbour to Kowloon. Located in the Wan Chai district on Hong Kong Island's waterfront, it is conveniently located within easy walking distance of many major hotels, restaurants and shops.